Heaven knows, celestial matters have been top of mind for months, as Planet Earth rotates and spins through space to August 21st. For the first time in 99 years, the moon and the sun will cross paths creating a total eclipse of the sun over a coast-to-coast swath of U.S. geography, including Florida. It’s Mother Nature’s ultimate light show. Now, should other commitments eclipse the eclipse for you, not to worry. Here’s the next best thing: a universe of fresh new lighting designs from American artisans, inspired by the heavens, illuminating stylish homes near you, and available at Robb & Stucky. May we shed some light? Lighting innovation has always looked skyward for inspiration. It’s natural. Our sun, of course, is the absolute source of light on Earth, and dramatic single-orb chandeliers pay homage. 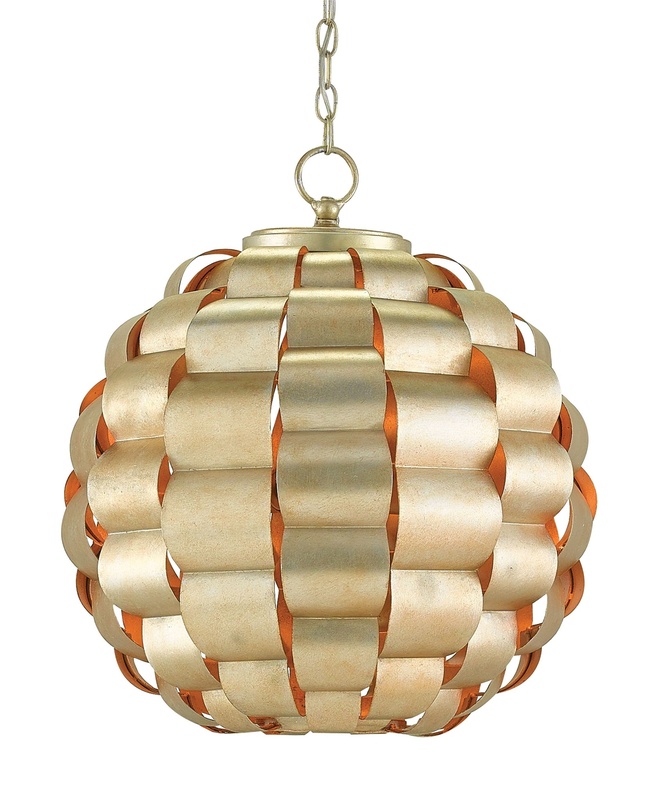 Take the Tutti chandelier, for example. Ribbons of folded wrought-iron steel comprise the body the chandelier. It seems to glow from within. Ra is the sun king of ancient Egypt. Curry & Company’s Tutti chandelier is today’s demi-god. Available at Robb & Stucky. Many of today’s hottest new chandelier trends, employ what we might call an interplanetary approach: A veritable solar system of light heads come together in one fixture. 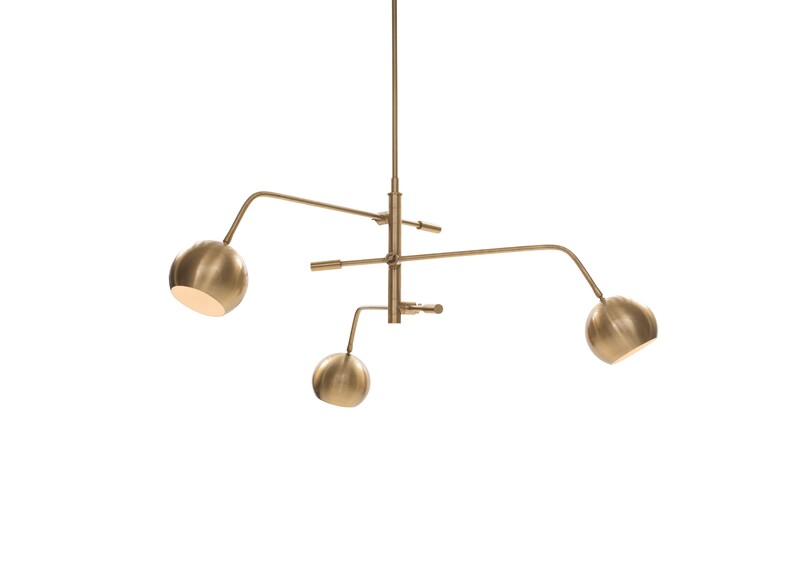 Mitchell Gold + Bob Williams Luna chandelier ups the ante. Three adjustable arms articulate to achieve just the right light. The designers tell us Luna was inspired by the orbit of the moon and the planets. Personalize your own lighting trajectory with Luna chandelier from Mitchell Gold + Bob Williams. Available at Robb & Stucky. Haley’s comet won’t reappear until 2061, but the comet-inspired Hanley pendant is here to conquer darkness. Mod and marvelous, fluted glass rods project from a center orb, a grand statement over a dining table or suspended above a staircase. 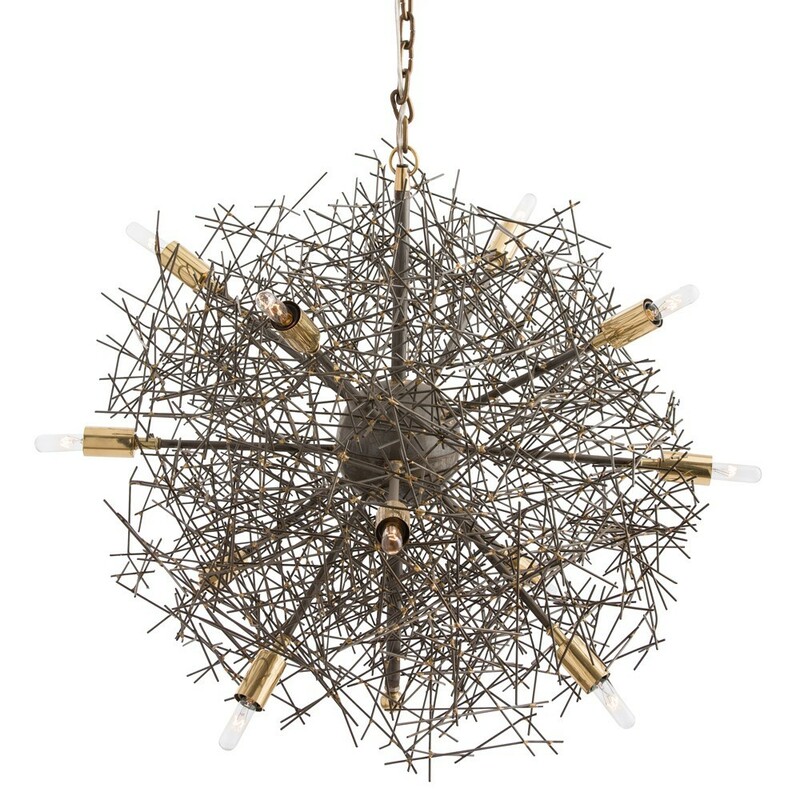 Sputnick-inspired Hanley chandelier from Arteriors. Available at Robb & Stucky. Dark matter also factors into modern lighting design. Turn on the Brazos 12-light chandelier. Here, sharp pieces of natural iron are hand-welded into a beautifully chaotic sphere. The light play is amazing. 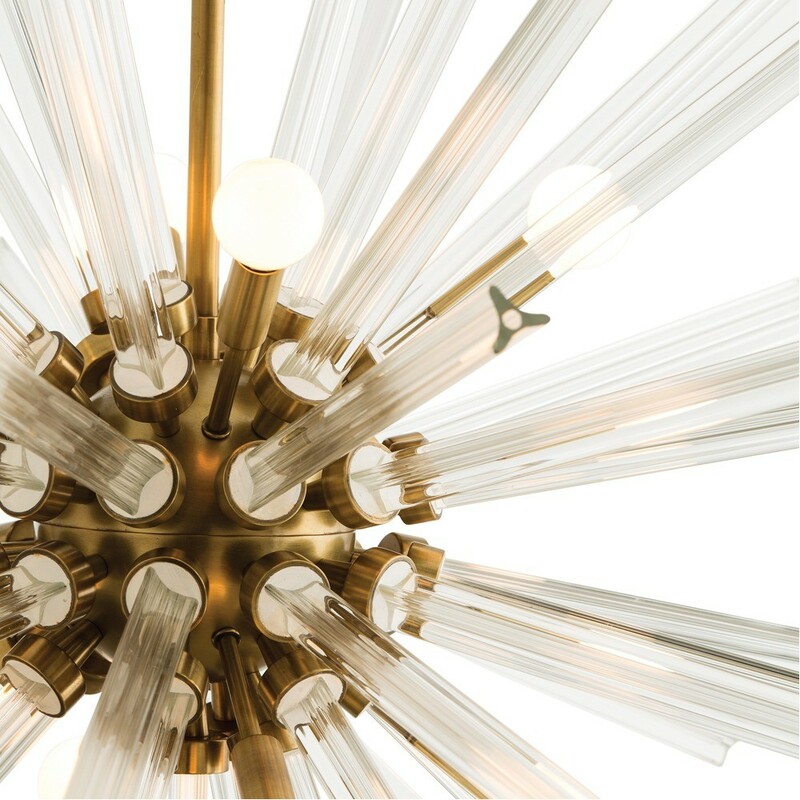 The universe may be chaotic, but Arteriors Brazos chandelier is crafted entirely by design. Available at Robb & Stucky. Don’t be afraid to go toward the light! Today’s chandelier designs are bold and beautiful, but “total eclipses” should only happen in nature. While important, a single decorating decision like lighting, should never eclipse the overall vibe of your room. That’s where a Robb & Stucky design professional to help light the way seems like another gift from heaven!